Are We There Yet?? : Quick Quirkiness? I woke up this morning to find that my friend Maddy of the blogs Whitterer on Autism and Alien in a Foreign Field had tagged me for a supposedly quick meme that she had been tagged for by Michelle at Just a Minute who originally was tagged by Amber at Bringing Good Home who was tagged by Lord only knows who as trying to follow back who tagged who is certainly not a quick task and one I'm just not up for this morning! Anyway, in this reportedly quick meme, I'm to list six quirky details about myself and then tag another six bloggers to reveal six quirky things about themselves. Quick and easy, right? Uhm ... not really! Now perhaps it was quick for Maddy to come up with six quirky facts about herself being that she's a former butter-limbed Brit who routinely fell out of trees that now lives on the West Coast where quirkiness abounds but I'm just a boring native -born American who lives in Connecticut where quirkiness is frowned up! Still, a tag is a tag is a tag and even though I am a Duchess, who am I to say "nay" when there is a Queen of Memes out there monitoring these sorts of things? Link to the person who tagged me. Tell six quirky yet boring, unspectacular details about myself. Go to each person’s blog and leave a comment that lets them know they’ve been tagged. Being that I have already linked to the person who tagged me (and as a bonus linked to the person who tagged her and the person before that! ), I guess it's now on with the quirkiness - provided I can think of six quick quirky characteristics! 1. I cannot sleep in a room with an open closet door. This stems back to a house that we lived in when I was about six years old in Tucson, Arizona. I swear that house was big-time haunted and the things that came out of my closet would have been great fodder for a Stephen King novel! To this day, closet doors stay tightly closed! 2. 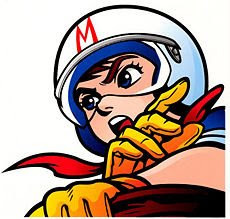 When I was a freshman in high school I was obsessed with the original Speed Racer cartoons and would drop everything to watch them. I refused to see the new movie version as I knew it wouldn't hold up to the original cartoon series! 3. 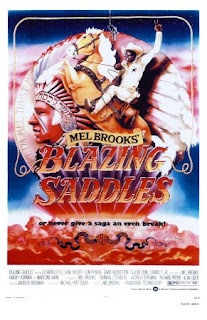 One of my very favorite movies of all time is Mel Brooks' Blazing Saddles and I can quote way too many lines from the film - especially at work as nothing brings out movie quotes more than a stressful day in dispatch! 4. 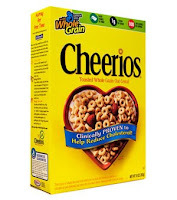 I have trouble eating Cheerios as I once told a lie about blowing bubbles in my room when I was about six, got my mouth washed out with Ivory soap, and ate Cheerios afterwards. 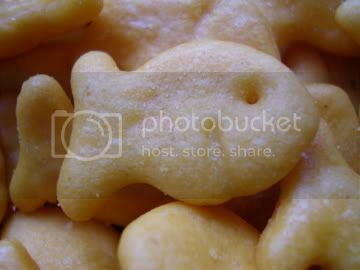 To this day, Cheerios taste like Ivory Soap! 5. 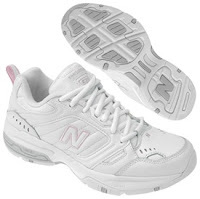 I have an absolutely horrible time finding shoes that I like so spend most of my time in sneakers, preferably white New Balance ones! My mother, on the other hand, has so many shoes that I call her the Imelda Marcos of Canterbury! 6. I hate clowns. They creep me out. 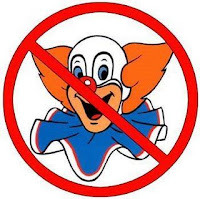 I find nothing at all funny about clowns and think they should be banned from the face of the earth! Alright then, now that I've dug up six what I hope are quirky facts about myself it's time to tag a few other unsuspecting bloggers. Hmmm, who would I really want to know six quirky facts about?? Let's start with the Queen of Memes herself - Mimi - as I'm sure that quirkiness abounds at Bloggingham Castle! Next I'll tag my favorite Michigan retailer Morgen as he owns his own shop and there has got to be some quirkiness there! I definitely have to pick Mags as I know that woman has got quirkiness down to an art just based on her Randomivity posts she does each week! Lois just spent 100 days living in her trella so based on that alone, I've got to pick her for this meme! I'd like to see what Ivana has for quirky habits so I'm tagging her, too. And the last tag shall go to Mighty Mom because with her work schedule and three children at home plus a SubVet in the house, she's got to have some quirkiness going on! 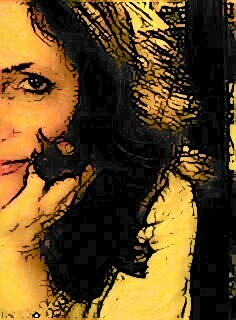 So, there 'tis, it wasn't exactly quick and it might not be exactly quirky but at least I got 'er done as the saying goes! I'm with you on the clowns. I find them rather creepy. And I also have trouble finding any comfortable shoes. Sneakers and sandals are my favorites. oh baby i hate clowns too... too creepy for me. Good grief woman! You're quick of your feet [or maybe your fingers?] And all those links - eek, I am humbled by your all powerful blogginess. 4 is ever so sadly true, that's a link that is virtually impossible to obliterate. Clowns = an entertainment only enjoyed by the truly strange. I'm a huge Stephen King fan, but couldn't read It because of the clown. I hate clowns. I'm 100% with you on the clowns, though. I'll let you know if I post it. Er, I mean, for you of course I meme! But I thought the closet monsters tried to make you laugh now, rather than trying to scare you. Hmmm - just thinking here about your fear of closed closet doors that maybe you could write a book "The Ghost in the Closet" and make a big thriller piece of literary workmanship out of it! Loved your comment thought about "Blazing Saddles" -one of my all-time favorite flicks too. And I love the song "I'm Tired" as well -so fitting for me, more and more as I age! Ohh I too have to sleep with the closet doors shut! And now I'm going to go check the closet. Hey! If I didn't know I was so darn quirky I might be offended! LOL!!! OK, I hate my closet door open, and I hate clowns, too. Quirky is a good thing! I'm with you on the whole clown-thing. And the worst? Those awful, putrid paintings of sad-eyed clowns on black velvet! Yack! I'm certain in Satan's den there's a black velvet painting of a clown hanging in his wall. And you know that I'm a HUGE fan of "Blazing Saddles," one of the funniest movies ever made! Geez, Linda. This one is really hard. So far I came up with just two quirkies. I'll keep working on it, will aks hubby what are my quirks, too. I have a quirkiness about clowns too. They never really bothered me much as a kid. It's only within the last 10 years or so that they have started to creep me out. I did it, Lin, I did it. It's up now.